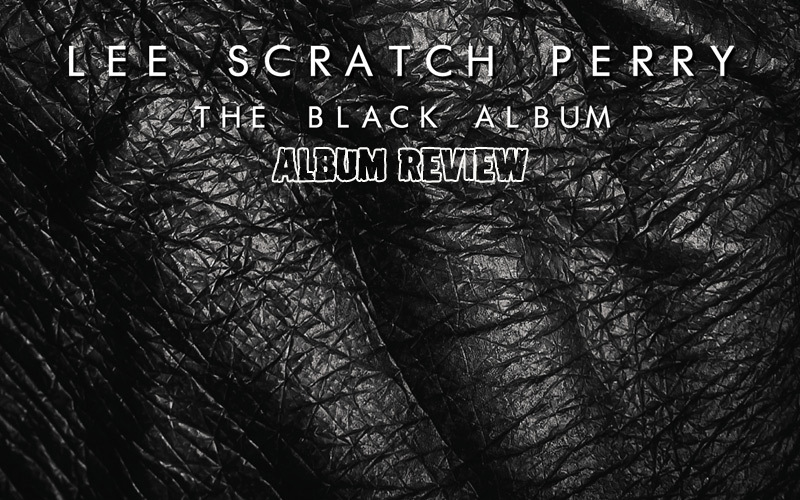 Lee Perry’s The Black Album reunites Scratch with producer and mixer Daniel Boyle for a record whose most surprising feature is how surprising it isn’t. Scratch has been the fountainhead for decades of innovative and boundary-stomping recordings whether as a performer or behind the board. The Black Album is almost tame by comparison, but in being so, shows off the real-deal roots of roots reggae from the octogenarian mad professor, in brilliantly, hypnotically moving fashion. Teamed up with the Rolling Lion All Stars session band, and deploying only vintage analog gear to capture the magic, the 18 tracks collected together essentially make two albums: the proper song and its dub counterpart. Sequenced as such, it’s as though each track becomes an extended version, with the dub version following the standard, lengthening the groove, stretching the vibe. The album opens with Mr. Brown in Town, and a baby’s cries; aural counterpoint to the visual cover art depicting a swatch of richly well-aged flesh. This starter track signifies the first in a consistent pattern of offerings that repeats through much of the album: mostly minor-key riddims dusted with the occasional exotic touch, be it flute or hurdy gurdy, and the ever swirling presence of Scratch. He doesn’t sing so much as he recites; the simple words upon repetition morphing into mystic, stream-of-conscious (and conscience) incantations from the island shaman. Like mantras, they flow between the bounces of the band, just below the mix, often augmented by high-pitched backing vocals. There is the major-key bright light of Your Shadow is Black, paradoxical in musical tones to the heavy lyric, and signature Perry, that rides on zephyrs of flute and melodica. And there is the foreboding darkness within Dead Meat and its apparent ‘six-six-six’ utterances that lead to an almost-growling Scratch in the acid-tinged Abbey Road Version. The shadows remain on Bumpy Road of Life, taking full advantage of the soul-chilling background voice of Ruth Tafaebe before Rosa Shanti and the drama of strings raise up the mothership for Captain Perry. The final two couplings are a study in contrast. Building and breaking, then building again, Killing Dancehall Softly, plays against a steady cooing backdrop, then yields to the other major-key effort- Solid State Communication - that not only nods to the analog conception of the record, but also speaks to the need for spiritual dialogue in this day and age, more than ever, speaking on high with Black Jesus, as Scratch the savior comes, once again, to save. Give thanks and praises.